A great air conditioner system can make a huge difference in your home. Hudson Air Conditioner has for over 30 years now ensured that we are the reason a lot of homes remain cool at affordable prices. It does not matter what time of the year it is, even when it is very hot outdoors, your home will remain cool and comfortable. The best thing is that you will enjoy high-efficiency at a low cost. All in all, we offer you affordability that will make your pockets smile, high innovation & durability that will last year to year and high levels of cooling comfort. We are confident that with us you will feel you made the best decision. Our skilled technicians have the know-how to make your comfort always guaranteed. We consider your area of residence and the weather conditions and patterns and use this information to determine the best Air Conditioning system that is suitable for your home. The right equipment will be installed properly and we will ensure it is maintained appropriately. Our commitment to your satisfaction makes us give you the best quality and listen and quickly respond to your needs. Our innovative products are perfect for your home, apartment, or condominiums. We further offer suggestions that will help you save money on the utility bills without compromising your comfort. With these great services available, you have no reason not to contact us. We guarantee that you will not regret contracting our services to enhance your contentment. We always have your interests in mind in all we do, which is why we take the personal initiative to give nothing but the best of everything, from customer service to the end product. You have more to gain and nothing to lose. Whatever you need we will provide for it, and surpass your expectations. suggsted me to hire a reputed company to solve this issue. I would also recommend you to consult Air Conditioning Service Hudson NJ. I am very much satisfied with their services & now my problem is solved completely. 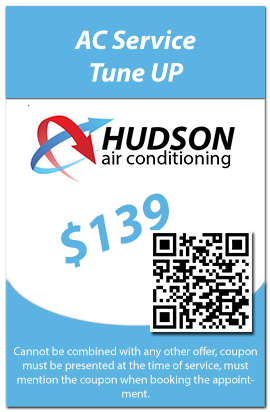 We use Hudson Air Conditioning HVAC services for our tenant often and quite honestly, we were satisfied every time. I had Hudson AC do the full installation of my new property HVAC system and maintain it as well. They did an outstanding job. I definitely recommend their service. 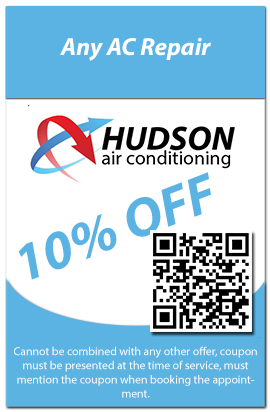 Hudson Air Conditioning helped me repairing my AC at a fraction of the cost, that other companies quoted me. Thank you!